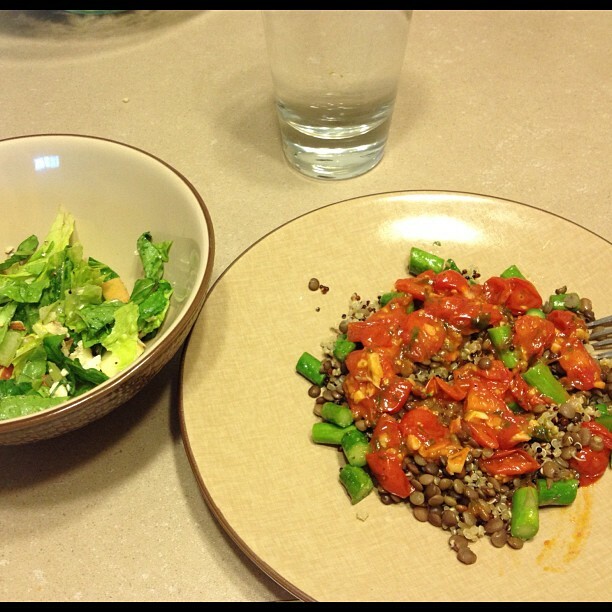 I am trying to find quick meals that incorporate legumes (vegan protein!) and still have a great taste. Since Mexican food has such great flavors and spice, it's the perfect way to make bland bean yummy, satisfying, and savory. My favorite homemade vegan meal is quickly becoming tacos. You can use black beans as the "meat" and add as much spice to them as you want. Then jazz up the beans with onions, peppers, avocado, and salsa. It's a great meal that really satisfies. Heat medium skillet over medium low heat. Once hot add oil, then add onions and red pepper. 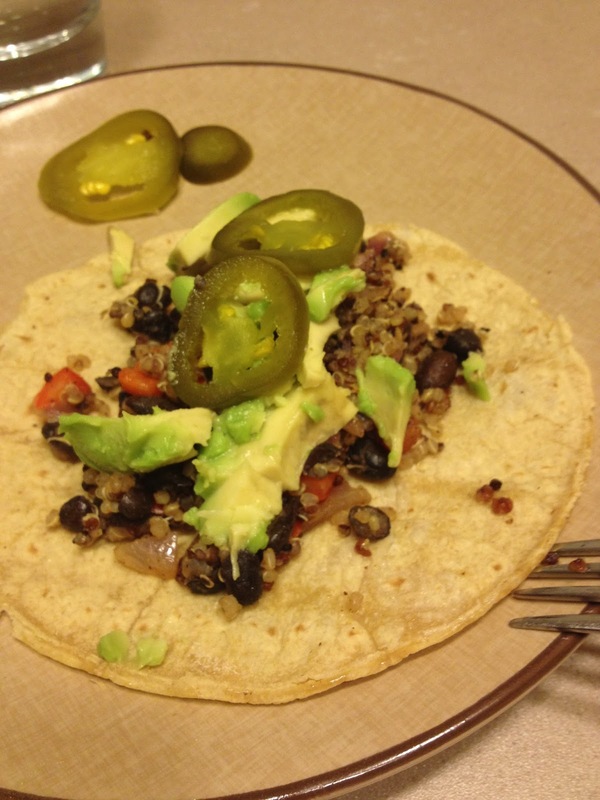 When onion softens slightly, add black beans and quinoa. Heat mixture for a few minutes until hot. Follow directions on package to heat taco shells. Scoop mixture onto shell, then garnish as desired. This would go great with the Mexican chocolate chia seed pudding I'm going to experiment with soon. I'll let you know how that goes! Smoothies have been part of my diet now for a year or so. They are the easiest way for me to sneak awesome greens and superfoods into my diet, as well as the diet of my four year old. The easiest way to make a truly healthy smoothie is to add one of each group below to the mix. The only exception to this is the superfoods - you can add as many as you want, though they may rack up the calories and fat. If you are counting calories, just make sure you take these into account. These are my three go-tos and they are all different and amazing. Plus, they are kid approved by my son. Oh, and I found this awesome smoothie cheat sheet here: http://www.lifelessbullshit.com/green-smoothie/. I left out step five, as I don't think most smoothies need added sweetener (and neither do we!). *Non-dairy milk is preferred. I'll write a post about the "why" soon. **Chewing fresh juices and smoothies activates saliva which helps aid digestion. Plus, I think it helps you get full faster too.